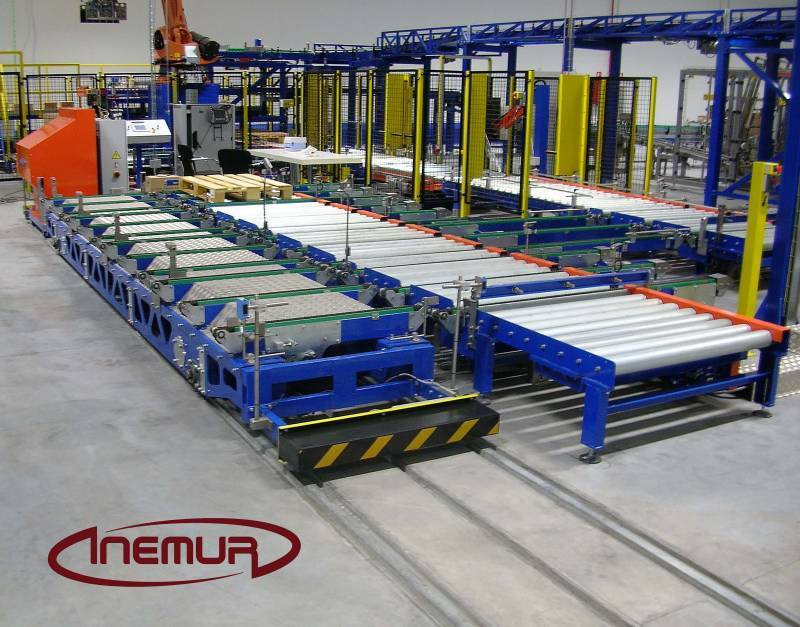 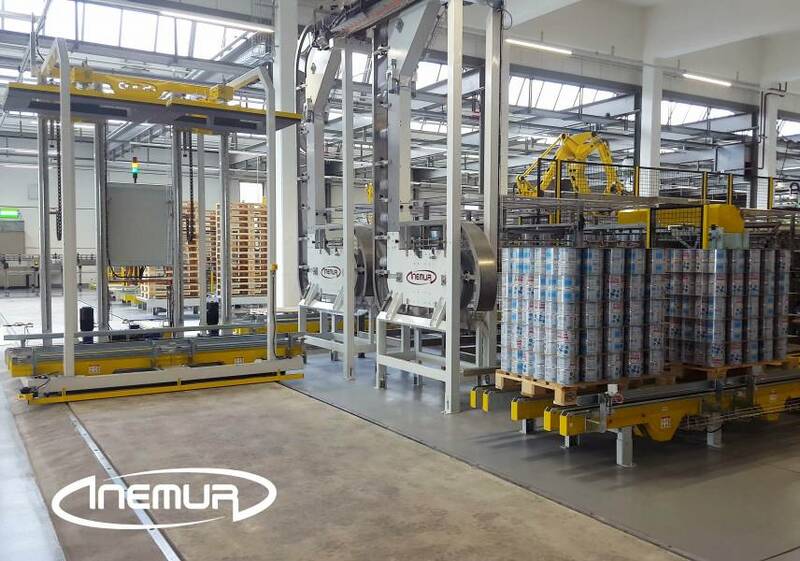 INEMUR also integrates solutions for moving empty or full pallets on carts and transfered by rails between different lines, which can displace roller conveyors, chains and even turntables. 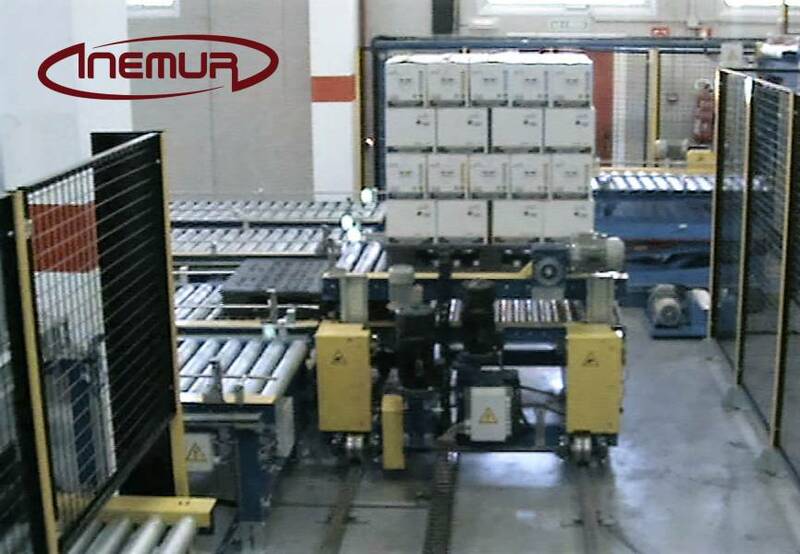 We have extensive experience in integrating “shuttles” units with different capacities, load and travel speed, as adapted according to the designed circuit. 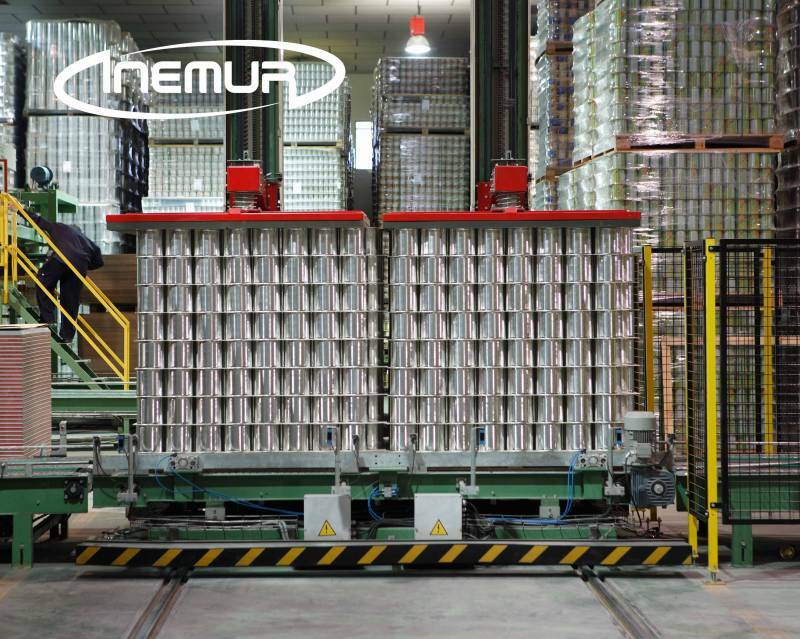 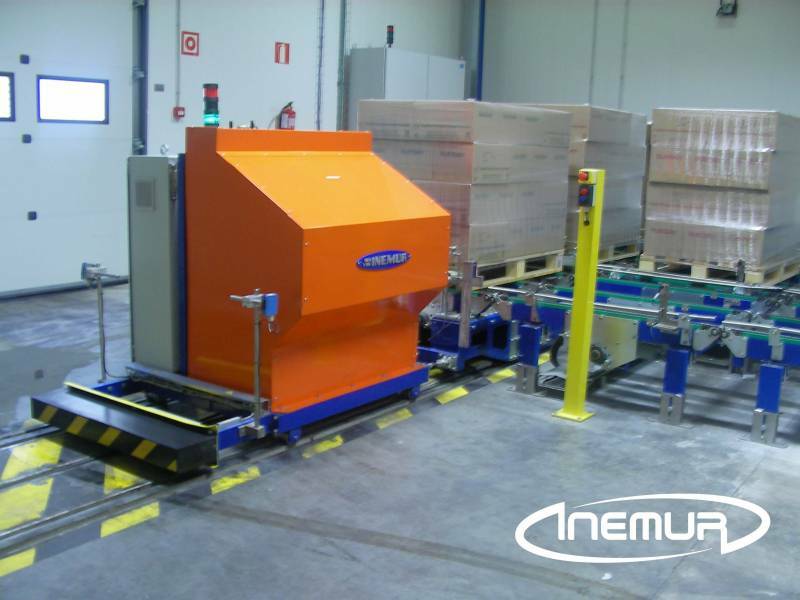 INEMUR even has equipment capable of making displacement and transfer of empty and loaded pallets simultaneously at different heights. 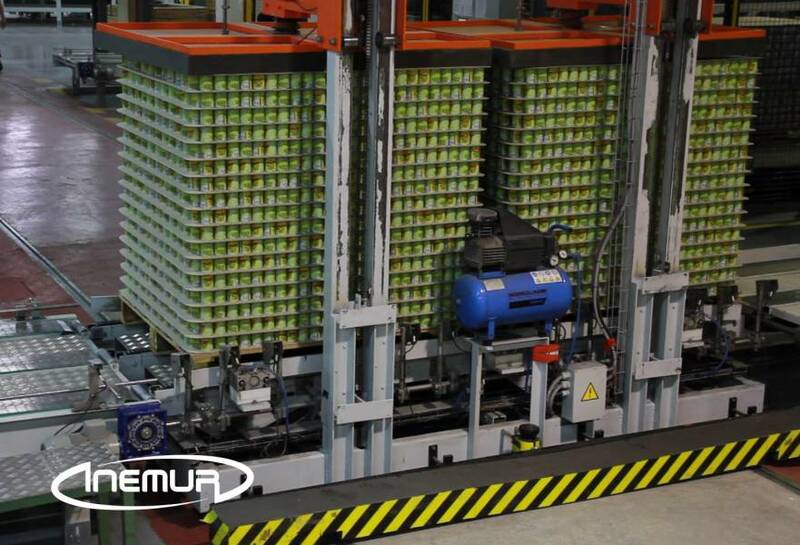 Our equipment, in addition to the high-performance capabilities, have the most sophisticated security systems to ensure seamless interaction with operators and other vehicles to coexist in the same work area.